Bone-fires and bobbing for apples to please the spirits and dressing up in costume to ward of ghosts. Why do we celebrate it? And why are we so attracted to it? Whether it be from Celtic tradition or from French or old English traditions, why has All Hallows’ Eveturned into a community event today focused around children? And what is the significance of this day once you take away the relentless commercialism that surrounds it and try to forget that one quarter of all candy sold annually in the US is bought at this time? Well, all this got me thinking because this controversial holiday with it’s witches on broomsticks, pumpkins and spider webs is also a favorite holiday of mine and I remember being in Salem, MA to celebrate with friends one year and having the time of my life! When we remember some of the best-loved children’s books today such as those of C. S. Lewis, J. R. R. Tolkien or J. K. Rowling, (a lot of initials here!) 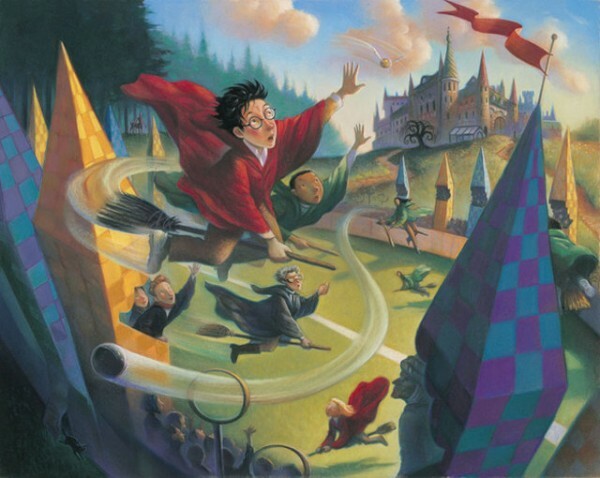 who set Harry Potter in a more contemporary time rather than in imaginary far away worlds, what are the common underlying aspects which mark them as the stand-out tales of our times? Besides the fact of course it that they are tremendously well written and engaging and allow a child to escape into the world of his imagination, could it be that the enduring charm of the struggle between good and evil is what draws us to these magnificent tales? The proof is in the pudding! Millions of children devour these books and are no sooner finished reading them when they ask for more. Children are intrinsically concerned with distinguishing good from evil from the start of their lives and books are a crucial part of this period. Exposing them to stories that shape their character is of great importance and more and more parents are turning to children’s literature to help instill good values. It’s really a shame that this genre doesn’t get treated with the importance it deserves. And, can you just imagine if evil wasn’t present in children’s literature, the utterly skewed image of the world that stories would present? Which brings us to Halloween, a good time to remind children that life isn’t all Hello Kitty and Disney Princesses and teach them about the existence of evil. As we gently brush against it in such a controlled and outwardly fashion, it can actually be one of the most valuable things we ever teach them. There is evil in this world. And whether you like it or not, all children will come face to face with it at some point and to some degree. And that it may be cloaked in costume, and that it may be very enticing, and that it may even exist in small amounts within ourselves as we don scary masks and look in the mirror, are certainly important issues for discussion. Whatever shape or form it takes, far better, I say, to have kids face it when expected and while we are there to protect them than otherwise. And all that candy sure does sweeten the blow! It’s a Vampire! Draculiza is born. “What’s that BIG WHITE SPACE on my website?” I asked my kind web developer, Jeff. “Oh, that’s where your blog goes,” he replied. And I freaked. A blog! Did I say I wanted a blot, I mean, a blog! I never had a blog before! Do I want a blog? Thought of one before. Then thought against it. Then forgot about it. And now I’ve got to write. OK. Now I get to say what’s rattling around in my head out loud and hope someone hears it. Or not. So let’s start with vampires. And giving birth, which I hear is not easy at the best of times, but try birthing a vampire! I am absolutely exhausted…and I think my publisher is too. It took such a HUGE push to get Draculiza here in time for Halloween. I thank my extremely lovely publisher for all her work and for believing that vampires are cool! And I thank my illustrator for bringing Draculiza and Spike to life. I’ve never been fortunate enough to have children but Draculiza is like my child. They say as writers, our books, (or plays in my case as playwriting is my imagined day job) become our children. But I don’t think it’s the books or stories – I think it’s the characters themselves that linger in our psyche (sp.!) and bond with an author forever. They can’t help but be a part of us. They are a part of us! Draculiza is a part of who I was growing up. Not that I bit anyone, I don’t think, but the story of how I didn’t feel comfortable in my own skin was definitely a part of my childhood as I think it’s a part of a lot of people’s childhoods. And what’s weird is that this wasn’t something I set out to write about, just, now that the mad rush is over, and I sit back and look at the story, I am flabbergasted at how so much of it harks back to my growing up. There’s my mom, reading me stories on page 2. There’s me wondering why I don’t have blonde hair. And there I am, running off on adventures without much thought. Uncanny. And only now do I see it. Characters are the most important part of a story to me. They add richness and texture to what can otherwise be a dull tale as they slowly creep up on you. They are who we empathize with and who we become. The best books have the most memorable characters. I am constantly blown away by the sheer variety and intensity of the distinguished characters in a Balzac novel or ANY Dickens novel whose more minor characters have just as much clout as the major ones. Who can forget Uriah Heep, or Quilp, or Miss Flite? And the names! “Poll Sweedlepipe,” “Mrs. 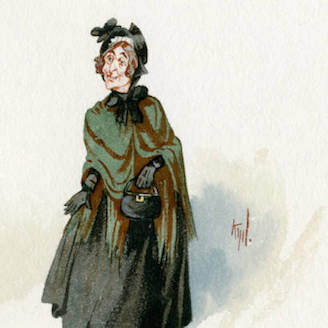 Gamp,” “The Veneerings” or “Mrs. Henry George Alfred Swoshle, a member of fashionable society!” Though Dickens wove a magnificent magic carpet with his plots which I always imagined in the shape of a pyramid – multiple threads of a story starting at the bottom and all intertwining to reach one climactic point perfectly at the top – I think his greatest achievements of all time were his splendid characters. Yes, I am a huge Dickens fan. And I hope that DRACULIZA can live up to her illustrious name and bring forth loads of mischief and madness into this world. And fly forever – like Miss Flite. (San Francisco, CA) November 12, 2015 — Having an imagination and wishing on that has always been something everyone does. Draculiza is no different. Her problem, though, is she wants to be a fairy princess; however as fate would have it that’s a bit of impossible because she’s a vampire. Despite her mother telling her why she can’t have this dream, she refuses to listen. She comes up with a plan and with her advisor, her pet bat, Spike, Draculiza sets out on an adventure to make her dream come true. Draculiza is targeted toward young girls. In the wake of all the messages targeted toward young girls about what is the “right” way to look, walk, talk, dress and do, Draculiza’s simple and basic message stands out. The message: it’s all right to just be yourself. Visit Draculiza and Spike at www.draculiza.com. There’s a blog and lots of fun things to do. 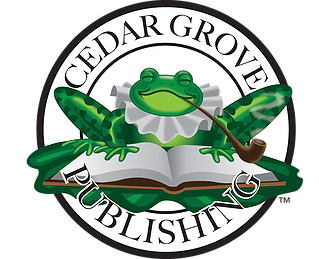 www.cedargrovebooks.com) can be purchased via Amazon and bookstores as a print book and as an eBook on Kindle, Nook, iTunes and most eReaders.